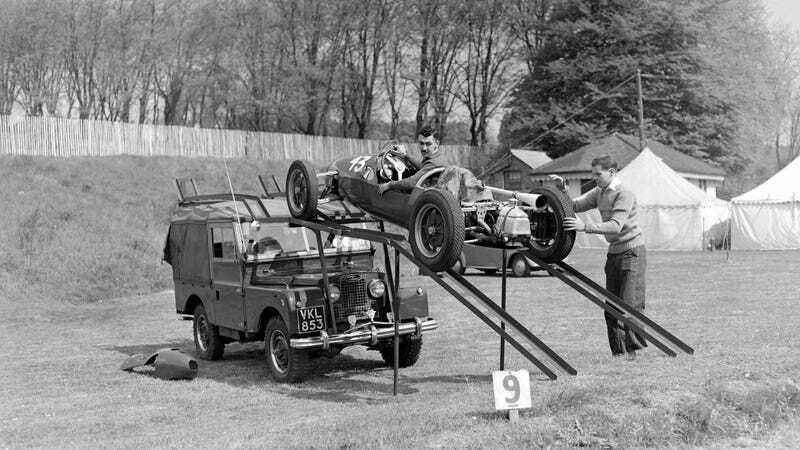 This is Stuart Lewis-Evans and Tony Harris in September 1953, lowering their Cooper 500 Formula 3 racing car from the roof of a Land Rover at the Crystal Palace race circuit. Awesome doesn't even describe it. Lewis-Evans was a friend of young Stirling Moss, and was managed by Bernie Ecclestone himself from 1957. The following year, his Vanwall crashed at the season-ending Moroccan Grand Prix. He died of his burns in the hospital six days after. Team boss Tony Vandervell never got over his death, and the Vanwall team was shut down in 1959.